“According to a recent Johns Hopkins study: About 25 million Americans who are aging in place rely on help from other people and devices such as canes, raised toilets or shower seats to perform essential daily activities. Nearly 60 percent of seniors with seriously compromised mobility reported staying inside their homes or apartments instead of getting out of the house. Twenty-five percent said they often remained in bed. Of older adults who had significant difficulty putting on a shirt or pulling on undergarments or pants, 20 percent went without getting dressed. Of those who required assistance with toileting issues, 27.9 percent had an accident or soiled themselves. 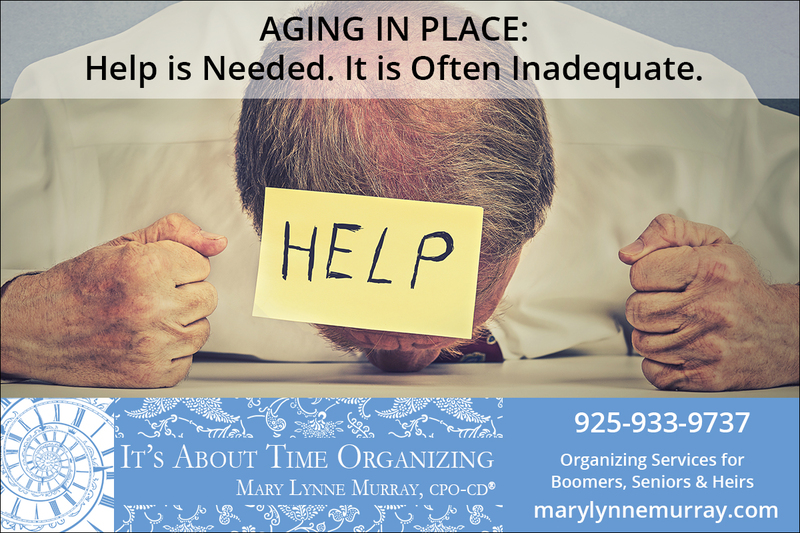 Organizing Services for Boomers, Seniors and Heirs: Mary Lynne Murray has helped a myriad of Boomers, Seniors & Heirs with her professional organizing services. 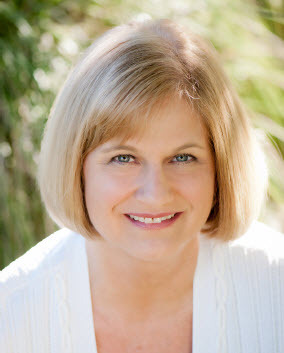 She is a member of the National Association of Professional Organizers (NAPO), and has earned the CPO-CD® (Certified Professional Organizer in Chronic Disorganization) designation from the Institute for Challenging Disorganization. 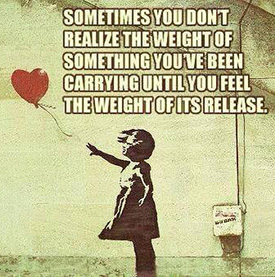 Call Mary Lynne today at 925-933-9737 to discuss how she can help you, or someone you love, get organized. "Before starting with an organizing client, I endeavor to understand him. With each exchange I come to know him better, and therefore, understand more." "You cannot shake hands with a clenched fist." "May I never get too busy in my own affairs that I fail to respond to the needs of others with kindness and compassion." "Have nothing in your house that you do not know to be useful and believe to be beautiful." "Sit down with your child(ren) or heir. Share your wishes, provide copies of your legal documents. Leave clear instructions. This goes a long way to avoiding confusion and arguments after you are gone." "You don't need things to remember someone. Close your eyes, picture your loved one, and your heart will help you remember." "I'm a big believer in giving it away NOW, while you have the capacity to do so. All the blessings of giving come back to you!" "When you can't find things, it's time to get organized." "Practice gradual downsizing by playing the One in, One out game. Every time you purchase one thing, get rid of one thing. YOU are in charge of the flow of stuff, in and out of your home." "Living like a minimalist is not for everyone, but reducing the amount of clutter is." "Let's get off our screens and devices and spend more time free-thinking. Set a side even a few minutes each day to think." "What do you care about? Do you care about yourself, or do you neglect self-care? One aspect of practicing self-care is to care about the order in your home, because it has a profound affect on your well-being!"